Yesterday, only a day after the most recent token reset from popular Twitter app Falcon Pro, long-time users who had not had a chance to update and login to re-claim their token, flooded our inbox and Twitter with complaints of error messages. The messages simply stated that the “application cannot authenticate more users at this time,” which is the same message users were seeing before the reset earlier in the week. So what’s going on? How could all of the 100K tokens be taken up again in a matter of hours? 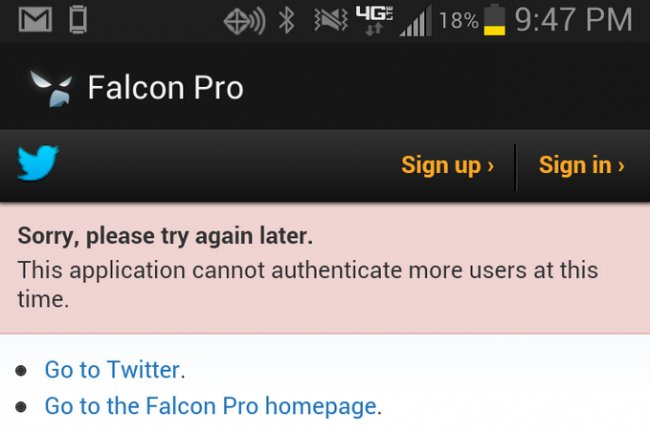 Falcon Pro’s creator took to Twitter this morning, thinking that Twitter may have shut him down, and has since unpublished the app from the Play store. 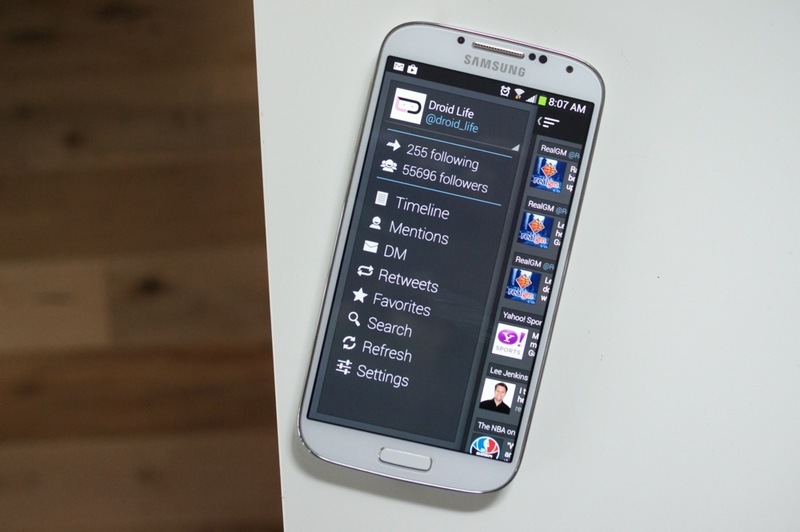 Tough to know exactly what’s behind the token gobbling, but Twitter made it clear long ago that they were going to limit the number of users for 3rd party apps. Maybe they weren’t fans of an app completely wiping its allotted tokens to gain more users? It does sort of seem like an attempt to work the system that they created, even as terrible of a system as it is. We’ll be sure to keep you updated as this series of events unfolds.